It's hard to go wrong with a Midea. Day and night, their devices give hotel guests around the world the comfortable climate they deserve. Now they're forging ahead with the EMB82 line of PTACs. These come in a range of Btus: 9,000, 12,000, and 15,000. A 9,000-Btu unit will heat or cool any area up to 400 square feet, a 12,000-Btu unit will heat or cool any area up to 550 square feet, and a 15,000-Btu unit will heat or cool any area up to 700 square feet. No matter what kind of space you're working with, Midea's EMB82 series has an option for you. Every one of them sports some of the finest features in the AC game. The large ventilation doors keep fresh air circulating for a clean, healthy atmosphere. Just what the doctor ordered! A colorful, easy-to-use electronic control panel and LED display make customization easy for anyone. 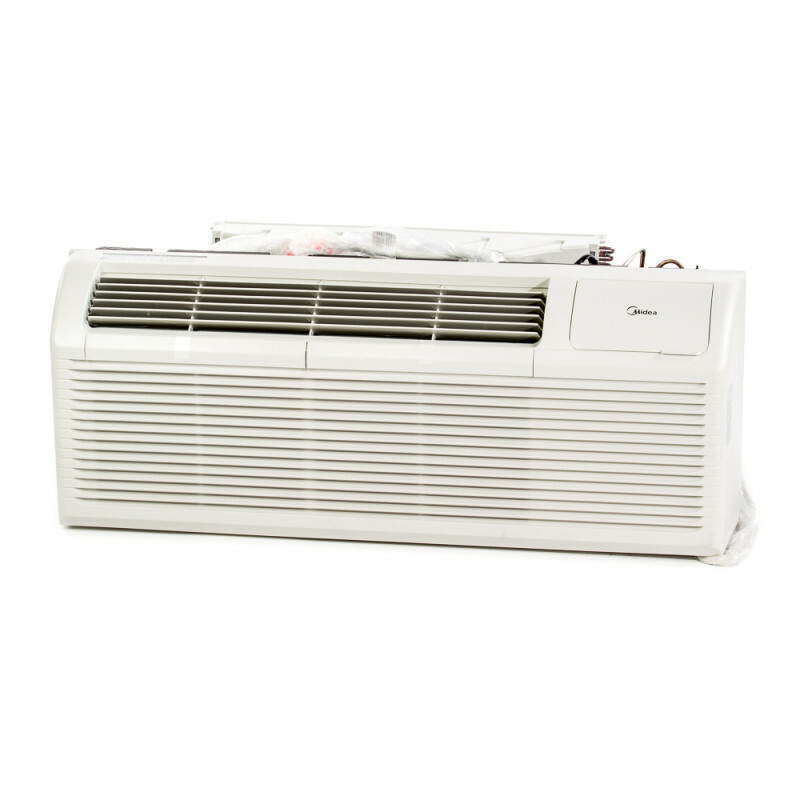 Guests can set their ideal temperature and pick from three distinct fan speeds to adjust noise level and airflow. And no one has to lug themselves out of their chair, sofa, or bed to change settings, either. The fully functional remote control puts them in the driver's seat--even at a distance. The great minds at Midea designed these PTACs to do their duty no matter the weather. 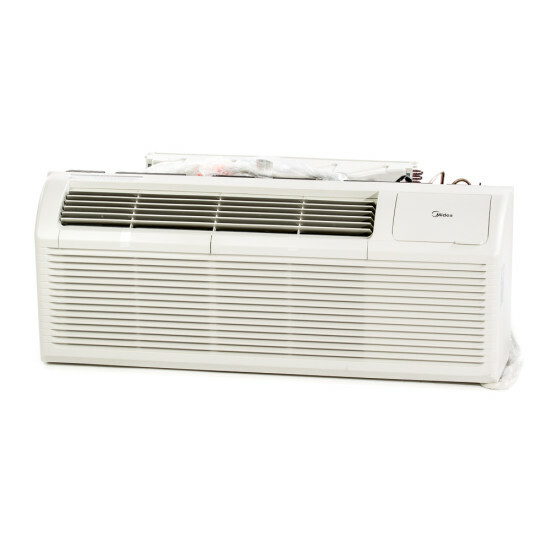 A built-in Auto Defrosting feature will prevent freezing and maintain dehumidification even at low temperatures. Power failures are no problem, either. The moment the power is back on, the Auto Restart feature starts the unit right back up at its previous settings. Of course, another expert opinion is always a good idea. That's why every model is certified by the product safety organization UL (formerly Underwriters Laboratories). Midea set out to give your guests efficient, effective climate control solutions. With the EMB82 line, they've done just that.